Licensed bar ~ Real Ales, Best Lagers, Large selection of Wines & Spirits, non-alcoholic drinks and snacks. Welcome to The BAY Jazz Club. We are a small and friendly jazz club run for and by its members, who enjoy a range of traditional, Dixieland and New Orleans jazz. Every Tuesday, except for Christmas and New Year, we are entertained by a different band, sometimes a local one, often from a little further afield, and occasionally an international one. Those planned for the next two or three months can be found on our Program. Guests and visitors are always welcome - no need to book, just turn up and pay at the door. The bar opens at 7.30 pm, so there is an hour or so before the band strikes up to meet and chat over a drink. The band then plays for two one-hour sessions, starting at 8.30 with a half-hour break in between. Occasionally, additional gigs may be arranged on other nights, such as a Friday or Saturday evening, and we have an annual Jazz Band Dinner, usually in the autumn. The BAY Jazz Club meets in the pavilion of Botany Bay Cricket Club. Usually, places in Australia are named after places in the UK, but in this case it was probably the other way round. In 1777 the old hunting ground of Enfield Chase was divided by an Act of Parliament among several authorities. Near the centre of the Chase was a small hamlet, possibly called Buttony Bay or Batony Bay. However, by 1819 when it appeared on a map of Middlesex by C G Greenwood, it had acquired the name of Botany Bay. Perhaps this was partly because the Australian name was more familiar, and perhaps partly in jest, because, like the penal colony of Australia, the village was so remote and isolated from anywhere else in the civilised world. 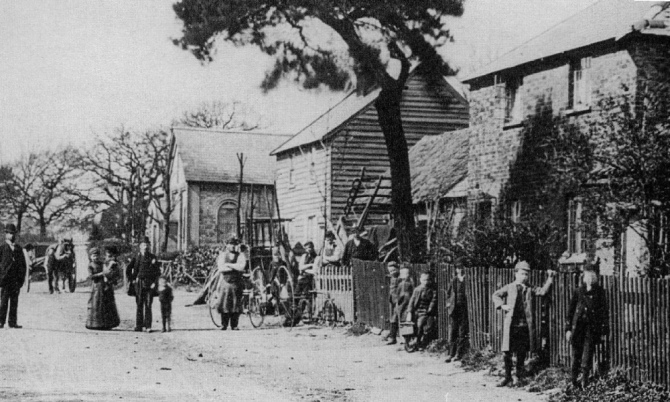 This photo shows Botany Bay in the 19th century. Today, the village has a farm with a well stocked shop, a public house called the Robin Hood, a cricket club and a population less than 200. In 1899 the villagers formed a cricket team, supported by the local gentry and landowner. The team of fathers and sons from the local farms played for more than half a century against local clubs. The first century ever to be scored on the ground came only in 1937, and that was by a visitor! Post war, the club thrived, until today it fields three teams in the Saracens Hertfordshire Cricket League, and a thriving Colts section with excellent training facilities. In addition to the Bay Jazz Club on Tuesdays, the cricket club hosts the Googlies Jazz Supper Club on Thursdays for more modern and mainstream jazz, BigBoppa's monthly on a Wednesday for Rock 'n' Roll, and Big Band events monthly on a Sunday during the winter months. There is also a long-standing MG Owners Club on Mondays, Petanque and Darts. Recently the cricket club opened its doors to the local Cuffley Rugby Club. A busy venue! Traditional jazz first came to Enfield in the late 1940s, when Art and Vi Sanders opened the Wood Green Jazz Club in Bourne Hall. 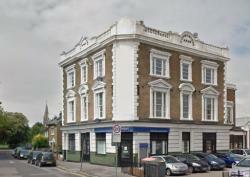 This was a wooden extension built at the rear of the the Fishmongers' Arms on the corner of High Road and Trinity Road. 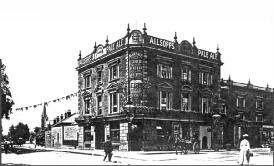 The Hall was built sometime before the 1920s, and has since been demolished to make way for a row of terraced houses, so is not on either of these photos of the Fishmongers' Arms, which still stands, but has been turned into a Police Station with flats above. Here could be heard, and danced to, such bands as Humphrey Lyttelton, The Dutch Swing College Band, The Clyde Valley Stompers, The Christie Brothers Stompers, Ken Colyer, Acker Bilk, Chris Barber, and many, many more fantastic bands. Momma Don't Allow is a 20-minute film showing the Chris Barber Band at Wood Green in 1956. 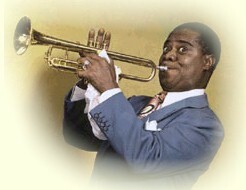 And the youngsters who enjoyed all this new New Orleans music called themselves the Enfield Ravers. In the 1960s the British Trad boom gave way to new musical fashions, The Beatles, R&B, etc., and the Fishmongers' became a rock 'n' roll revival club. The first session of the Bay Jazz Club was on 27th February, 1996 with John Softley's Just The Job Jazz Band. The band had been displaced from the Pied Bull public house for six weeks for refurbishment, but never returned. This resident band played for the first three years, typically with John Softley on banjo and guitar, Colin Thompson on bass and sometimes vibraphone, John Preston on drums, and different guest players in the front line. These included Alan Gresty, Mike Cotton, Johnny Rodgers, Christine Woodcock, Peter Rudeforth, Campbell Burnap, Mike Henry, Goff Dubber, Cy Laurie, Andre Beeson, Ron Findon and many others. These guests were all booked by John, who dictated the style of jazz, and eventually the members became restless and demanded a greater variety. So a committee was formed to take over the running of the club, some of whom are still serving today, and Just The Job retired to nearby Bayford in Hertfordshire, and a different band was booked each week at the Bay. The first of the new bands to play was the Northside Jazz Band, but memories of these early years are vague. Jean remembers one great night with Tommy Burton and his Sporting House Quartet, featuring Spats Langham. 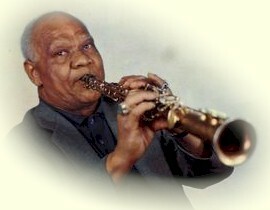 Pete Lay appeared many times, with his own band The Gambit Jazzmen, and a variety of different bands. In the early days, only club members and their guests were allowed to walk in without booking. Visitors were required to give 48 hours notice. Then, in July 2011, it was announced that Visitors were Welcome without any notice, because the Cricket Club had obtained a new licence. From 2001, an annual Jazz Band Dinner has been held in the autumn. Today we continue to entertain with a different jazz band every week, closing only at Christmas and New Year. On 23rd February 2016 we celebrated our 20th anniversary, and a week later were entertained by Jonny Boston's Hot Jazz, with Jonny on clarinet & sax, Gary Wood on trumpet, Dave Hewett on trombone, Tim Huskisson on piano, Trefor "Fingers" Williams on bass, and Martin Guy on drums. Jonny Boston at The Bay, 1st March 2016.